Over the past four days, Team Fun has had a tidal wave of festive fun, the most we have ever experienced. Fun Leisure is truly honoured to be part of your Winter Weddings, Corporate Christmas Parties and Night Life events this weekend. We have featured the UK's largest snow and foam cannons to the finest DJs injecting their fun personalities into each and every event. In this blog; we are going to recap the best Christmas moments, which in return can shed light if you're seeking new and unique Christmas Entertainment ideas for your next occasion. We began the Christmas weekend with a perfect ice breaker for any festive corporate gathering, exhibition stall or nightlife event, the famous Cash Money Grabber. Our operators made the trip down to Central London to challenge these guests with an opportunity of winning a selection of top prizes set out by their company bosses. Oh very daring! To keep score of who collected the most gold tokens, Fun Leisure built a custom leaderboard showcasing their logo, and the employees score tally. The words, "You've got to have a go." made it's way round to room fairly quickly, it is fun as it looks. Use the Cash Cube Hire to set challenges this Christmas. Imagine yourself stepping inside a magical wardrobe, brushing past thick winter fur coats leading you to the enchanted land of Narnia. We established the winter scene for the guests of the National Grid's Christmas Party to experience something like no other. Aimee approached us looking for a theme night package with a difference, at this time of year, Narnia was the straightforward choice. 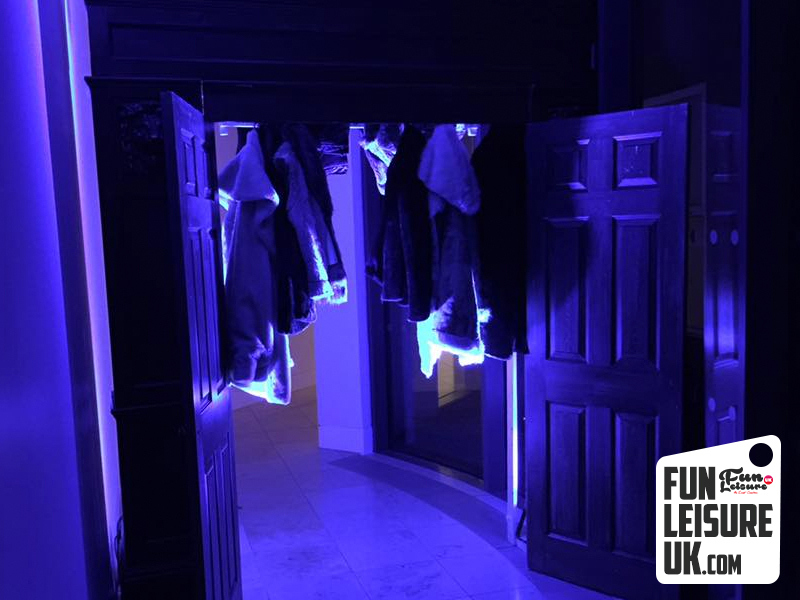 Alongside the grand Narnia Wardrobe, our design operator completely transformed the room with silky white draping, LED venue up lighters and extra movie props. If you're looking for an 8ft polar bear to stand guard at your next event, look no further. 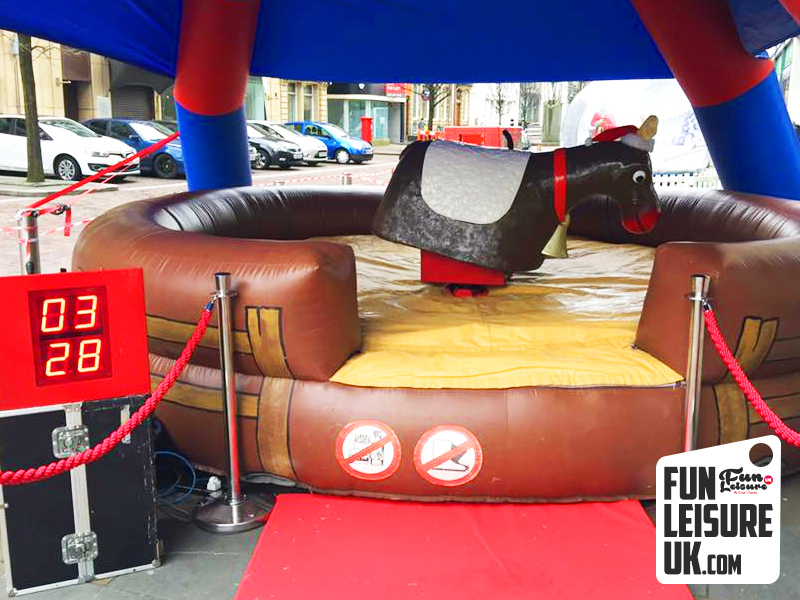 Say hello to Rudolph the Red Nose Rodeo Reindeer, the latest fun addition to our inflatable rodeo range this Christmas. 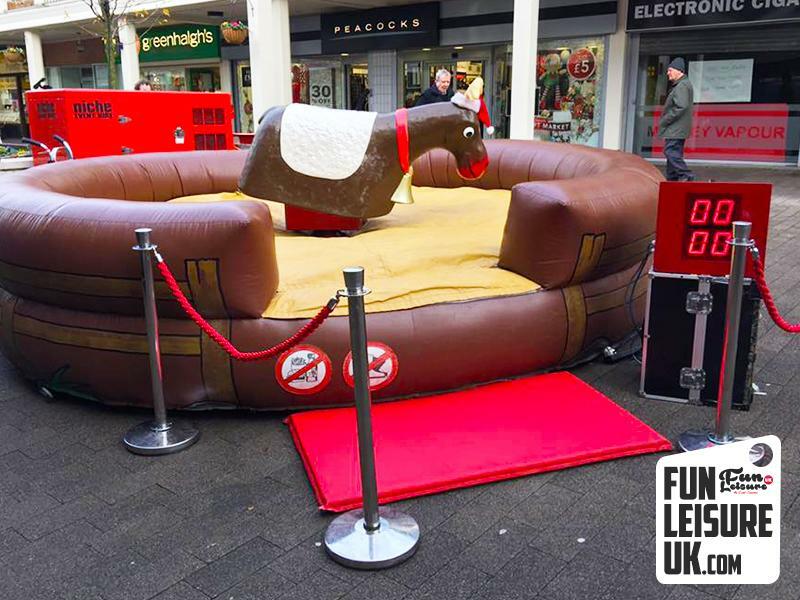 Fun Leisure operator Terry took the trip to Kirkby Shopping Centre to challenge the public to jump on Rudolph's back and hold off on tight as he spins and drops. Plenty of people stood up the challenge, but only a few succeeded. Suitable for all ages, this is an ideal hire if you are putting on a feel good festive event. We stock multi rodeo attachments to suit your occasion. Browse our range of inflatable games here. Fun Leisure is on standby and ready to inject magic into your Christmas gathering this December. Our friendly event team are on hand to plan your next festive event. Call today to discuss your requirements on 01772 923990 or email info@funleisureuk.com.